I know, I know. This weather calls for soups and hearty dishes and our days require heaps of delicious desserts, right? So right. But since the season has so many pretty and delicious vegetables and fruits to offer, we’ll also want to incorporate these as well all in our everyday meals and savour as much as possible, right? Right again. 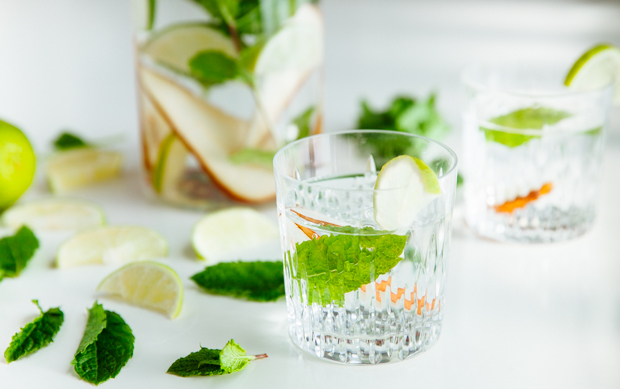 Today, instead of a dish, I’m sharing a crazy simple and super satisfying flavoured water I came up with for the beautiful Alexia of Smells Like Fashion, to be featured on her awesome upcoming project #TheVeil_mag. It’s not soup, you can’t dunk bread in there, there’s no chocolate involved, but it’s sooo good! 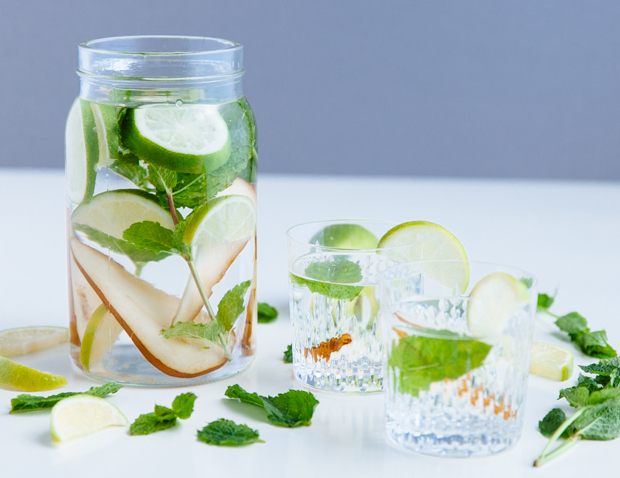 Think about it: slices of sweet, juicy pear, with more slices of fragrant lime and fresh mint. Sounds good, no? Staying warm yet hydrated, enjoying our soups and desserts and whatnot and washing them down with a slightly sweet and super fragrant water. Yup, it all sounds good to me. Slightly bruise the mint leaves by gently rubbing them between your fingers, allowing them to release their fragrance. 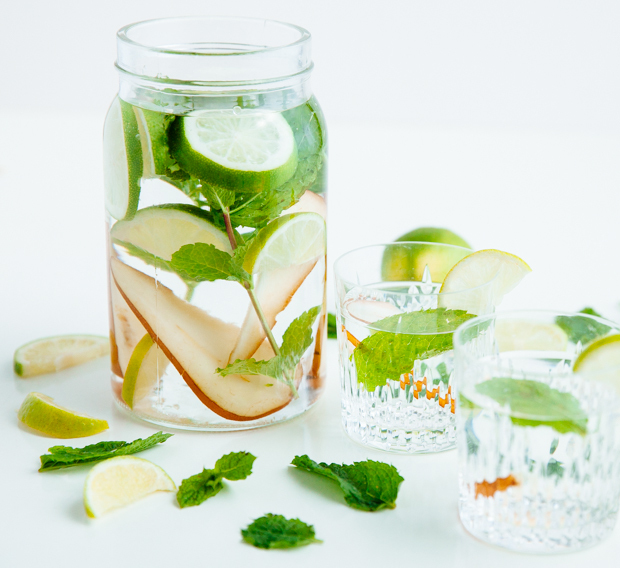 Arrange the pear and lime slices in a large jag, add the mint springs and fill up with filtered water. 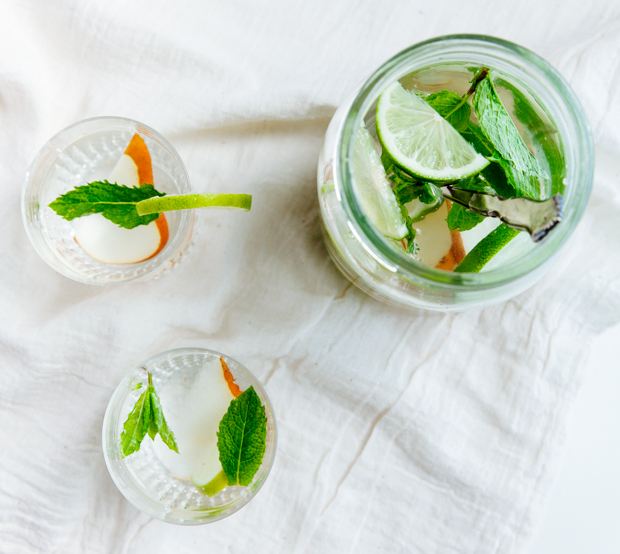 Allow the flavours to infuse the water for about half an hour and serve. Keep in the fridge and top up with fresh slices and leaves when needed.